A scene from "Swamiji". 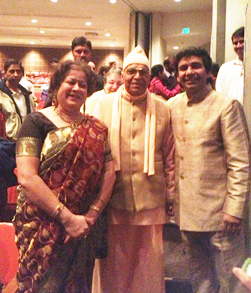 Manick Sorcar and his wife received a standing ovation for their show "Swamiji"
the last show for SEWA International USA took place on November 24, 2013. 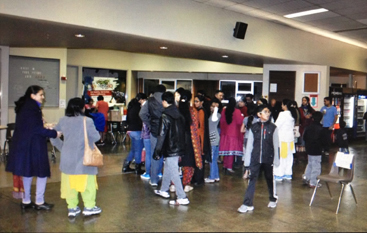 The fund-raising program for SEWA had a Grand Finale at Auburn, a suburb of Seattle, Washington, where the last show was performed. 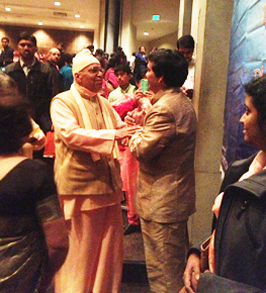 For "Swamiji" the laser show, it was another grand success receiving standing ovation and cheers from the audience at the Auburn Performing Arts Center. 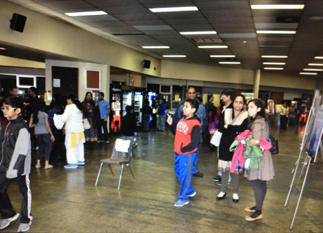 The event started at 3:00 pm by the new Seattle Chapter of SEWA International, where they displayed video projection of SEWA's goal and accomplishments, and gave speeches before introducing Manick Sorcar and handing him the wireless microphone to take over. 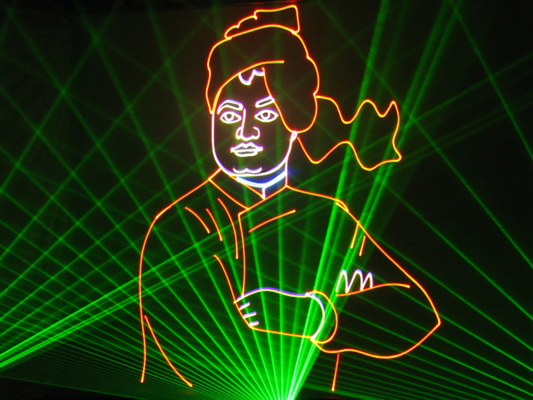 "I am immensely grateful to SEWA International USA for giving me the opportunity to display the laser show on Swami Vivekananda all over USA for the last three months", said Manick in his introductory speech, "but today's show is of special significace not only because it is the last show of the fund-raising series, but also because it is graced by the attendance of Swami Bhaskarananda of the Vedanta Society of Western Washington. We are truly blessed with his presence". Western Washington to Manick, "Now I have seen your laser magic. It was simply fascinating and spellbinding. You have covered every aspect of Swamiji very accurately". (Right) Shikha and Manick with Swami Bhaskarananda. Manick started the show with a touch of magic using the laser-pointer as a wand. He drew scribbles on the walls and screens, which turned into leaves containing the portraits of the Holy-Trio. The dancers performed in bare feet to pay respect through a Sanskrit prayer that led to a ballet of five performers to a composition of Swami Vivekananda - all in combination with laser graphics and visual spectacles in space. 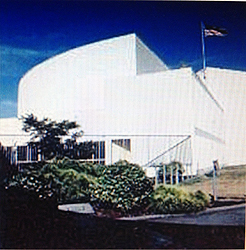 The unique 1.5 hour show ran in pin-drop silence from the spell-bound audience. 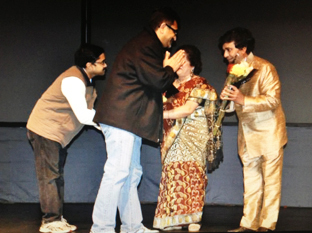 When Manick with his wife Shikha came to take a bow, the audience gave a standing ovation with thundering applause and chants of joy. 'Arise, awake, and stop not till the goal is reached'. 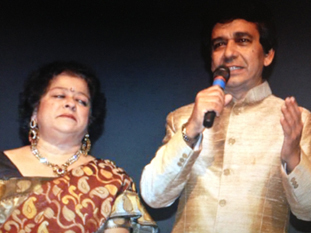 (Right) The Sorcars are felicitated by SEWA International. The Sorcars were felicitated with flowers by the SEWA personnel, and with the Vote of Thanks the show came to a formal end. At the end of the show Manick and Shikha spent time with the many awaiting audience, who wanted to share their feelings about the show, take pictures and autographs. "It is a loss for them who did not get a chance to see the show - it was awesome! ", they said.